Home » How to make » How to make a flat ribbon ruffled flower. 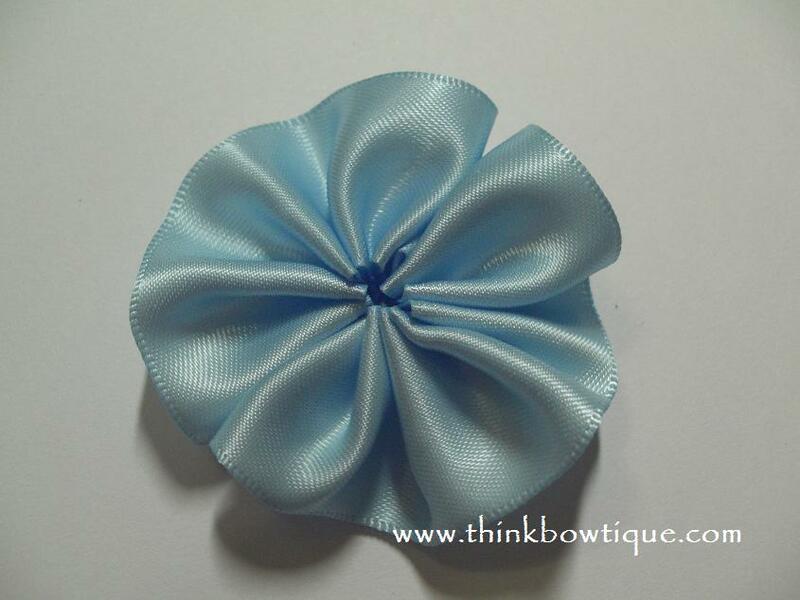 32cm length of 22 mm grosgrain ribbon or 25mm satin ribbon. Thread your need and tie a knot in the end. Thread your need through the ribbon along the edge. 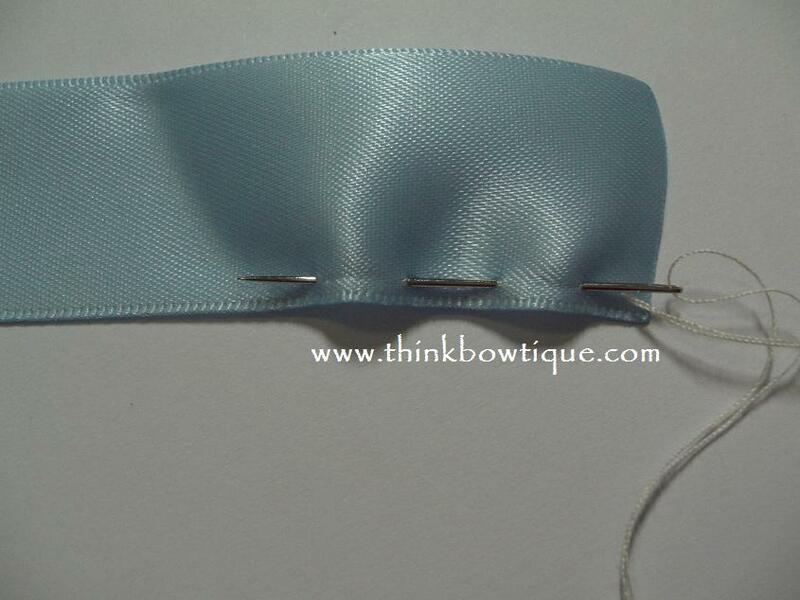 Make a weave about 1cm wide all the way to the end of the ribbon. 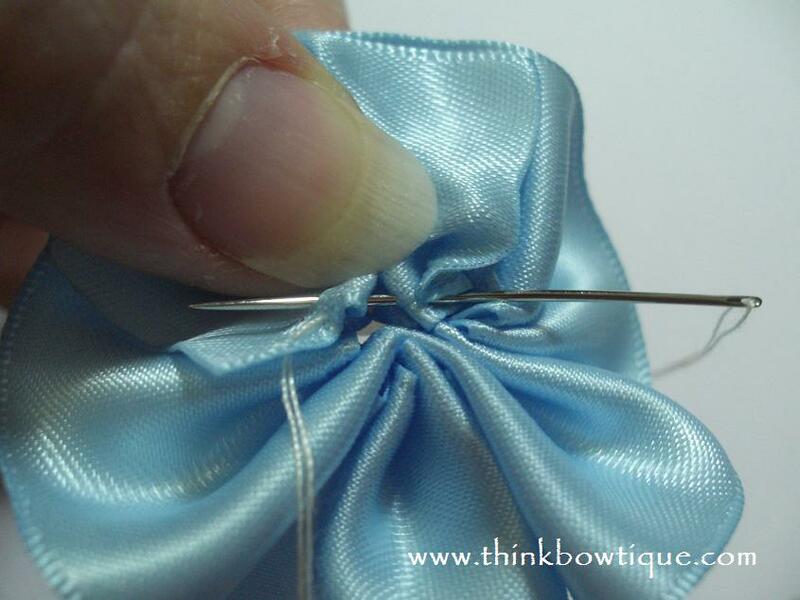 Once you get to the end pull the tread to gather the ribbon. 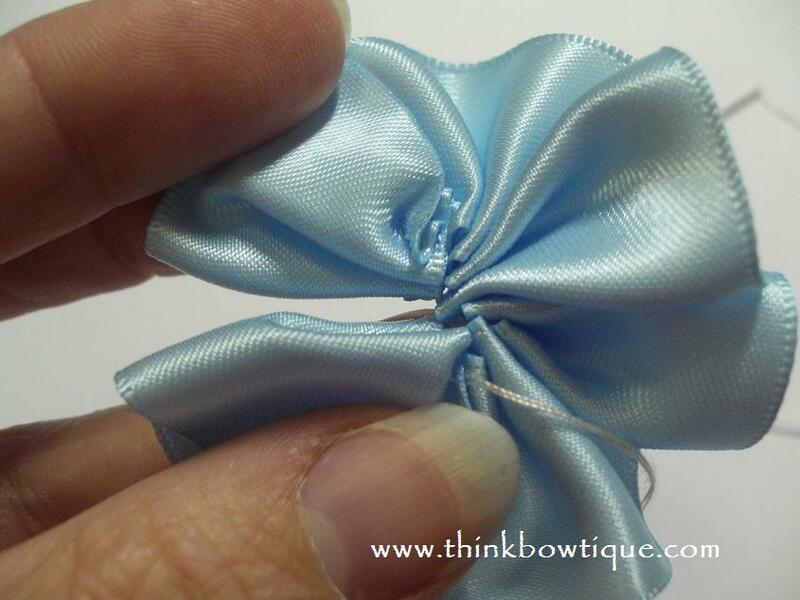 Fold the two ends over the back. Stitch together. Make sure to pull tight before tying off. 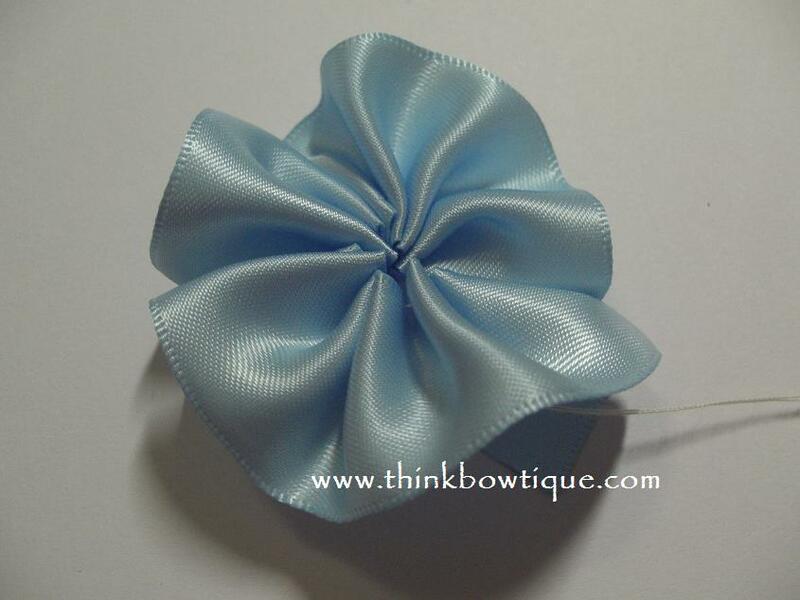 You now have a flat satin ribbon ruffled flower. 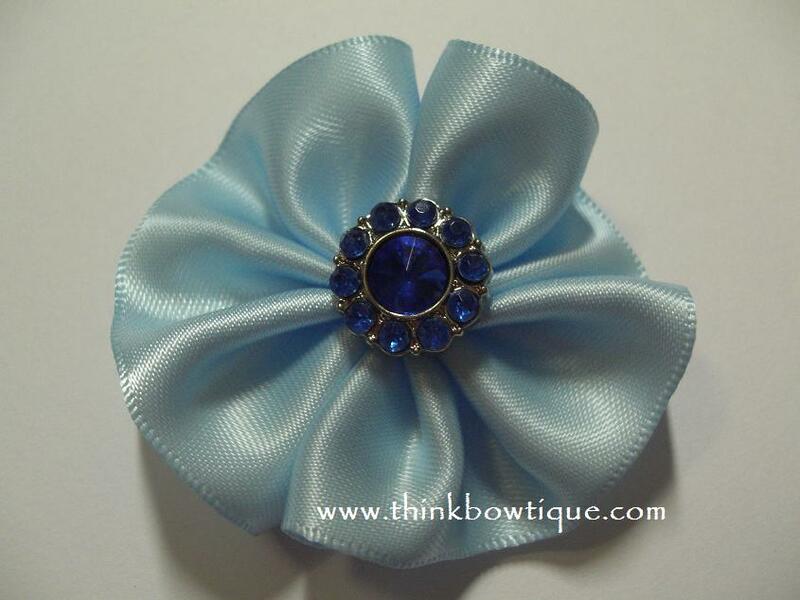 You can do the same with grosgrain ribbon. 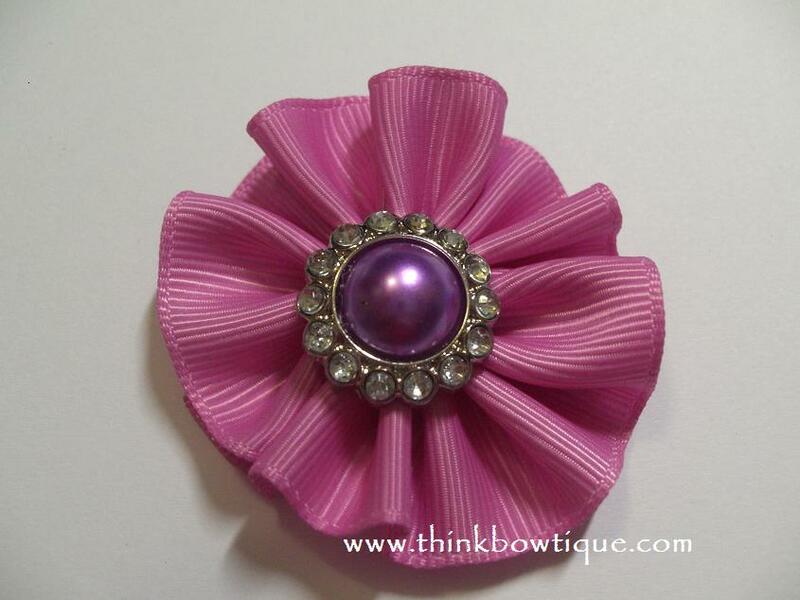 Embellish your centre with a rhinestone button with shank removed. ← New chiffon flowers for your hair accessory or craft supplies have arrived.